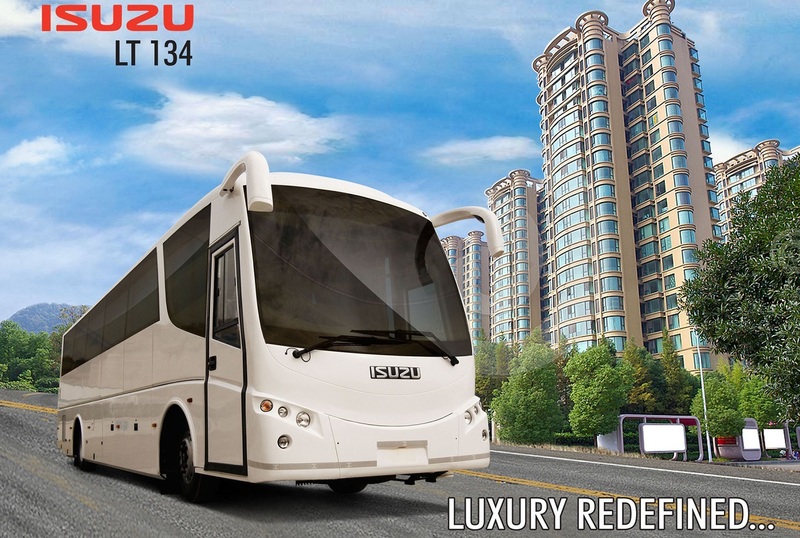 With an improved dealer and service network and competitive pricing, the SML Isuzu LT 134PR 12-metre inter-city luxury coach makes an impressive value proposition. This rear-engined single-axle long distance bus specifically targets the expanding luxury segment, dominated by Volvo 9400 (4×2) and Scania Metrolink (4×2). With acclaimed robustness and reliability of the Isuzu Motors, the LT 134 is also fairly equipped with comfort and safety features. Going by the dimensions, the Isuzu LT 134 measures 11,995 mm long (overall) with a wheelbase of 6,260 mm, 2,600 mm wide, and 3,800 mm high. It’s turning radius is 11.15 metres, while the ride height of the bus is 260 mm. The fully-built bus sits on a robust chassis from Isuzu’s international line-up, also sharing with other models like LT 132 popular in South East Asian markets. The bus offers 45+1+1 seating capacity in 2+2 layout, with push-back reclining seats with padded arm rests, foot rests, and seat belts. Powered by a 7.8-litre (7790 cc) 6-cylinder 6 HK1-TC direct-injected turbo-charged (water-cooled) diesel engine with inter-cooler, the LT 134 generates a maximum output of 230 PS at 2,500 rpm and 704.2 Nm of torque at 1,500 rpm. It is coupled to a 7-speed synchromesh gearbox with overdrive function, assisted by single-plate hydraulically controlled, air-assisted clutch. 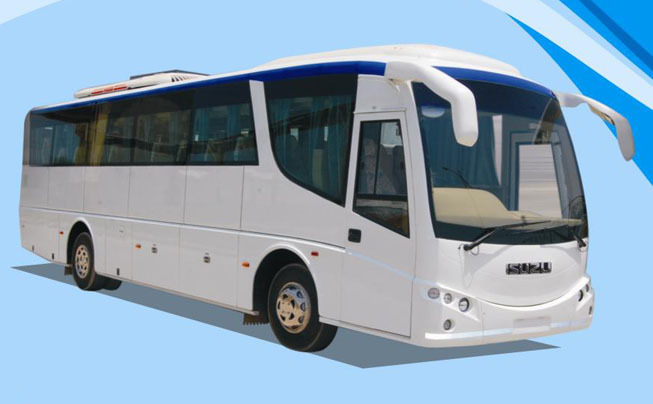 With a fuel tank capacity of 380 litres, the bus’s top speed is rated at 115 kmph. The vehicle’s GVW is claimed at 16,200 kgs. The engine is BS 3 compliant. Equipped with full air suspension with 2 bellows up front and 4 at the rear axle, the LT 134 features dual-circuit, S-cam type air brakes assisted with ABS. There is also a built-in retarder and an Electro-Pneumatic engine brake with butterfly value at the exhaust pipe. An inter-locking actuator has been provided to synchronise exhaust and foot brake, along with a cancelling switch. The fully air-conditioned cabin with sealed side windows boasts pneumatically operated out swing door and an emergency exit. 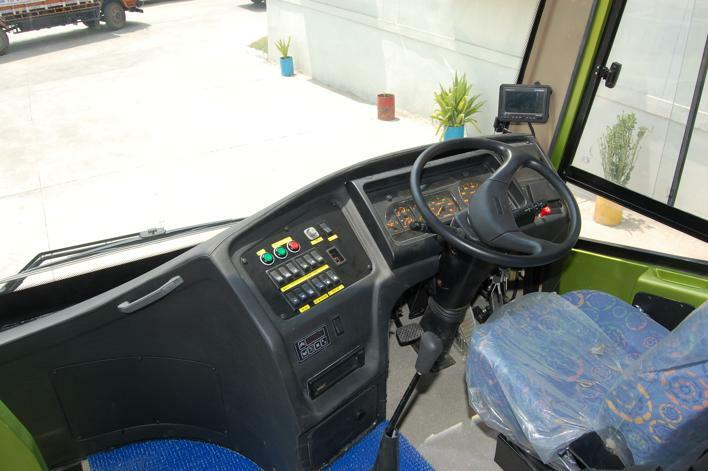 An optional entertainment package is on the offer, while the driver gets adjustable seat with arm rest, tiltable steering, fog lamps, and a driver information system. The body features a luggage boot, while the exterior design is impressive with wide windscreen and curvy window line design. With a competitive pricing around INR 60 Lakhs (average Ex-showroom price), the Isuzu LT 134PR saves a huge margin against the segment leaders like Volvo 9400 (4×2) and Scania Metrolink (4×2). Next, would you like to read more on Buses, or Commercial Vehicles?